The M21 DAC worked superbly with the Belden 19364 power cable with Oyaide 004 connector and I had no desire to change this. Given that the unit is utterly fluid and has no inherent hardness, I would not use warm-sounding power cables. 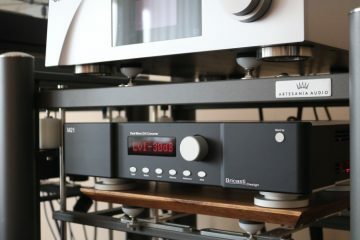 If required, however, the DAC could subtly be tuned using warmer sounding connectors on the Belden cable such as the Oyaide 079. 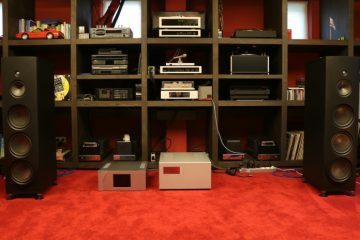 Although I have a preference for using a Belden 19364 power cable with the neutral yet refined Oyaide 004 connector with most amplifiers, the M15 amp included, it was powered throughout the review using a Belden 19364 cable with a warmer sounding Oyaide 079 connector because that’s the same combination that is used with the A1.5 (albeit in 20A version). 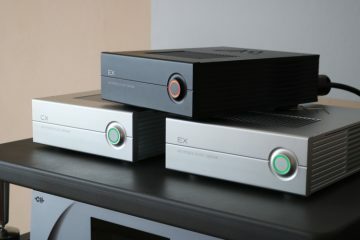 The amp responds well to power cable changes and if desired, it can be further tweaked using a variety of connectors or cables. For instance, I also tried the Vermouth Reference power cable that is currently also on review and, although not cheap, it makes a world of a difference. More solid and powerful, more propulsive and expressive, this cable makes the M15 sound less obviously smooth and especially less velvety in the treble but it certainly maximizes its bass performance and dynamic capabilities. The CH Precision Balanced Link interlinks yielded the tightest and most articulate bass but at the expense of fluidity and tonal richness, the Vermouth Reference added heft and solidity with a propulsive immediacy that is quite impressive while eradicating the last amp’s last hint of softness but along with this came a reduction in the amp’s fluidity and subtlety. The Cardas Clear worked very well and provided perhaps the most well-balanced sound (smooth and refined yet articulate if not quite as pure and direct) but still, I preferred the Final Touch Audio Ganymede even if it has the most unassuming bass of all the interlinks that I tried, for it made the Bricasti’s shine precisely in the areas in which they naturally excel: an utterly free-flowing, decidedly non-technical delivery. For the final part of this review where the two Bricasti’s would be combined, I made sure to have the two components perform at their best. 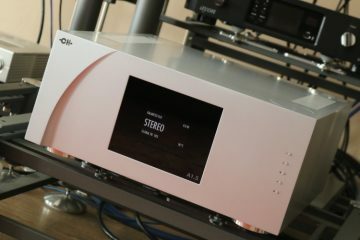 As it turned out, that would be when using the M21 with the Melco N1ZH server with a direct Ethernet connection which provides a tighter and purer sound than the Antipodes combo with only a small reduction in the perceived depth of the soundstage, which, even as it stands is still utterly enveloping and in this case, ultimately and in light of the combined delivery, not really an important factor. 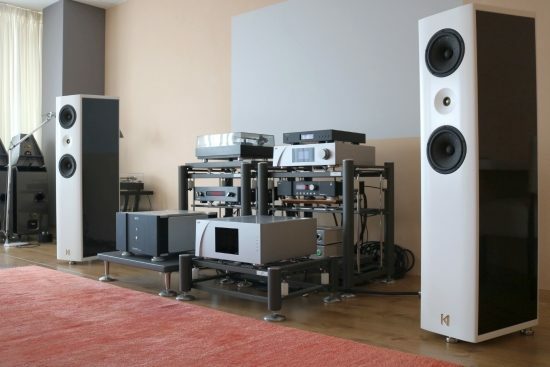 Likewise, the cleaner / less colorful sound of the Melco versus the Antipodes was also not a sacrifice, since the M15 amp sounds so timbrally rich that this evens out perfectly. 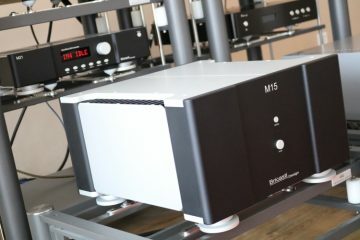 The M15 itself sounds best on an Artesania Digital Server Platform and I found that the interlink that most complimented these components’ inherent qualities was the Final Touch Audio Ganymede, which I had been using from the start. Power cables, finally, remained Belden 19364 but, in this case, both with Oyaide 004 connectors. Sometimes, all one needs to hear is a few notes, to hear that a system is fundamentally right and that’s what happened here. While obviously different in character than my usual CH setup, this combination made music in an immediately involving and utterly convincing manner. Yes, if I wanted to, I could still point out technicalities here and there but the thing is that I really did not want to. Rather, I just wanted to listen to more music. 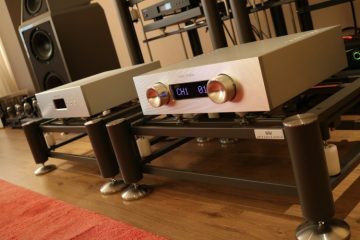 The M15 is an excellent amp and I find the M21 to be quite amazing, but when combined, they really complement each other, providing arguably the most synergistic performance. I could go on about these two components’ individual strengths but that would result in a repetition of what I have already described in their individual assessments. If you dropped in to quickly read the conclusion and want to know more, please skip back and check the individual parts to find out precisely how they perform relative to other DACs and amplifiers. It baffles me why the Bricasti brand does not pop up everywhere, it certainly should. Beautifully sculpted and with immaculate build quality, these components are not inexpensive but in context, they surely are also not extravagantly priced. 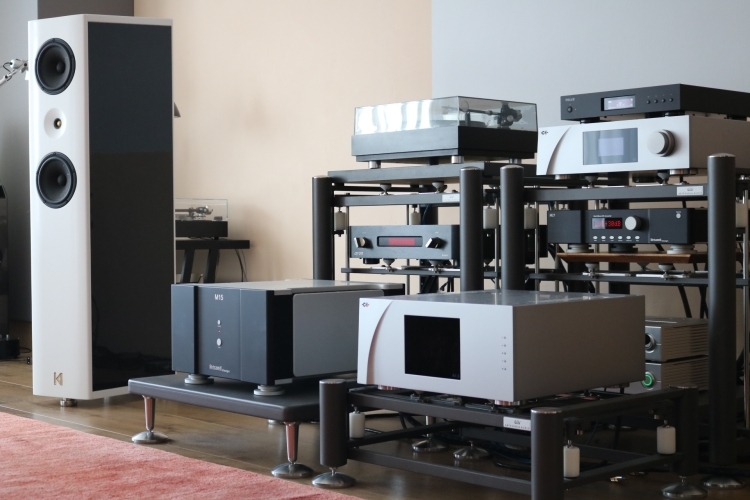 Audio times are tough and the cost of reference components is only going up. To find competitive alternatives that offer the same kind of functionality and perform on the same overall level, one has to turn to brands that cost at least 10K more per component. The M15 amplifier has an insightful yet non-fatiguing, fluid and absolutely non-edgy delivery with a well-textured, organic, and colorful midrange. It has a well-timed, full-bodied and round bass that avoids being soft but is not as articulate and expressive as that of the admittedly extremely accurate CH Precision A1.5. Then again, the M15 also never sounds as cool as the A1.5 can do in some circumstances. The star of the show for me is the M21 DAC. 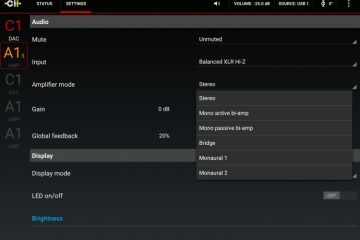 The inclusion of no less than 3 separate DACs is unique and its ease of use is brilliant. 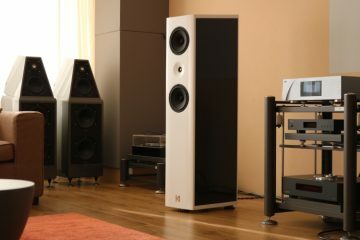 Most impressive of all is its sound: pure, transparent, dynamic, and highly revealing, the M21 manages to combine all these aspects with an organic and effortlessly fluid delivery that makes one forget about audio lingo and just relax into the music. Combined, the two components have a delivery that is quite unique for being smooth and forgiving yet highly transparent, dynamic, and very engaging at the same time. Thank you for a very detailed review. You really do a great job. Talking about the combo M21+M15 … how do you think it will work with speakers like Avantgarde XD Duo ? 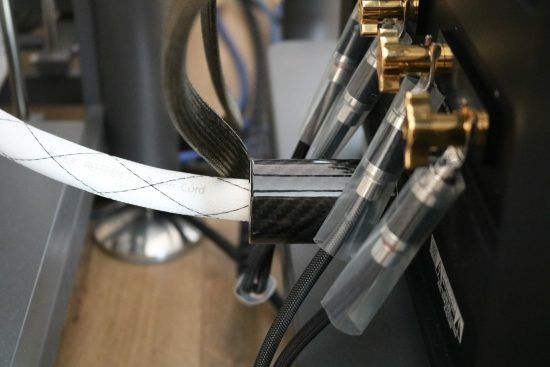 Do you recommend the interconnector cables to be on the warm side ? Thanks, Michael! 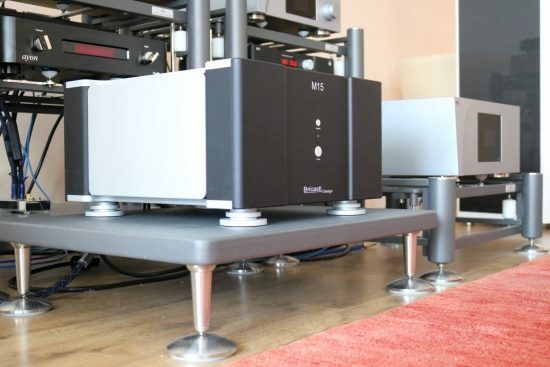 Having heard the Uno’s in my listening room, I don’t think that these speakers need the copious amounts of power that the Bricasti M15 has on offer and personally, I’d try to find the perfect tube amp for them. That said, the Uno’s can sometimes squeak at you with certain tracks and in certain combinations and that is something that the Bricasti will certainly not attribute to. 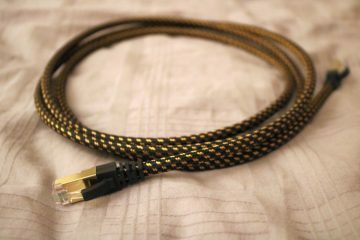 Personally, I’d use neutral cables with the Bricasti’s but this is also dependent on personal taste and speaker/room interaction. The Uno’s, and likely the Duos as well, are more direct and less warm/relaxed than the Carmens and so the best balance for your situation may well require warmer cables than for me.